Matching Dragoons: Weird Western Tales #13 "The Killer's Last Wish!" 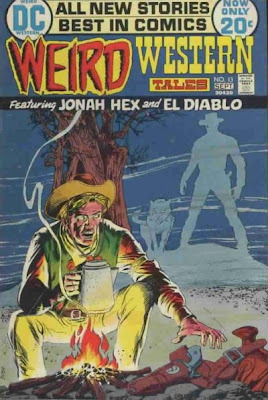 I am organizing my books, and fortunately found ALL of my Jonah Hex's, and this was one of the ones that I've been re-reading. I do admit to a certain fondness for ol' Iron Jaws, it was a shame what happened to him. 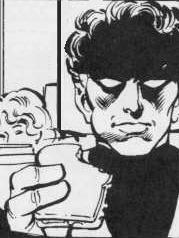 I rather enjoyed the supernatural aspect that some of the early stories had, all the spookiness and wild stories about Hex. 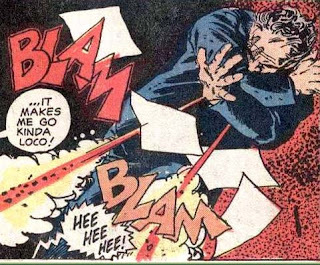 You can't tell me, that he didn't find the myths about him, useful when it came to scaring the crap out of the bad guys. 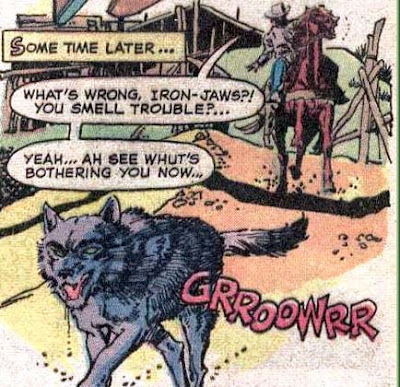 I was thinking about trying to make a Hex figure out of the DC Direct Saint of Killers figure, if you guys spot a good sized wolf toy I could use for Iron Jaws somewhere, let me know. I think that the Wolverine Origins figure came with a wolf, that is pretty neat, but it's probably pretty expensive. On the other hand, what is mere money when it comes to art? 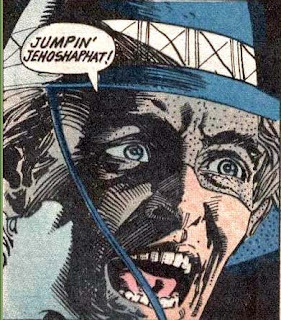 I do wish that DC would make a Jonah Hex figure. I'd get it in a minute!